Let’s face it, we love money, and we love stuff; I get it. Some of us love the word savings, yet don’t really do much saving either. The majority of people even waste money and don’t even realize they are throwing their money away. 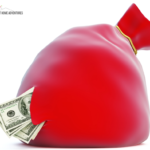 There are things you are not doing that are costing you money, and you might be surprised. If you don’t know what I’m talking about, let me clarify. I am not talking about shopping the sales or using coupons; I am talking about things we tend to overlook, or don’t do, that are making us waste our money. 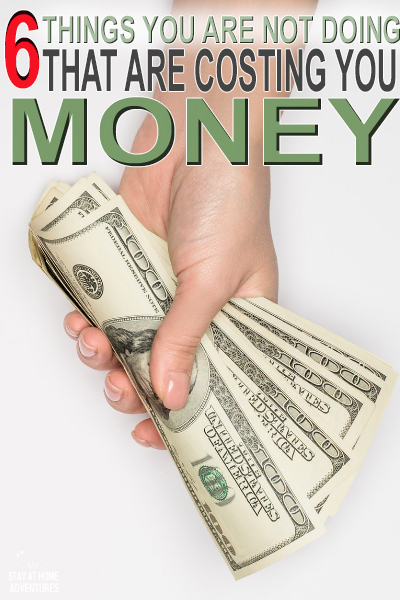 Everyday money-wasting habits that are draining us financially shall we call it and when you find out what they are you are going to realize how much money you have been wasting. 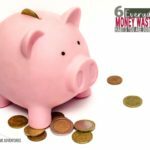 Not doing these six things you are not doing are costing you money my friends and if your 2019 goal is to get control of your finances, then you need to start doing something about it. So what are these darn things you are not doing that are costing you money? You are about to find out my friends! If you are not creating a budget, how are you controlling your money? Do you know where your money is going? Whether you enjoy a detailed budget, or a simple one, creating a budget will help you to stop wasting money. Winter comes and we don’t take the time to get our home ready for winter. If we take the time to follow simple steps to winterize our home, we will save so much money on our utilities. 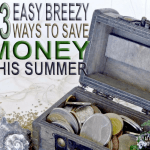 There are simple steps to help you save on your electric bill that we can all do. Not doing these things are going to cost you our hard earned money. Why do we have unused devices that are plugged, sucking electricity, and costing us money? Do you need to keep every single appliance in the kitchen plugged in? When you unplug, you save money, and this goes for your DVD/Blu-Ray player and your PC as well; you don’t use it, unplug it. So we are hungry, and we are going out to grocery shop. We have no shopping list because we know what we are going to buy, yet our hunger dictates that we need this and that and we end up buying more than we need; therefore wasting more of our money. Sticking to a shopping list will help you save money, and this is something I developed later in life. With a shopping list, you have more control of your spending and you will also be able to track your money as well. Sometimes, we just don’t sit down and plan things at all. Hey, I love to do spontaneous things, I do, but that can get the best of me and my money. You see, if I want to go on vacation this summer, I need to have it planned out. Without a plan, I will waste money because of not being prepared. Would you go on vacation and not plan on what you are going to do and see? How much is it going to cost? How much can I afford? These are important questions and it just doesn’t all apply when we go on vacation either. Planning goes to just about everything we do, including everyday finances. If you are planning on buying a car, what is your plan? Taking the time to create a plan will help you save money, and some of us (yours truly) don’t think of things like that. I bought a car because I needed one. Now if I took the time to plan this and research, I wouldn’t have paid the insane amount I paid for my old car. EVER! Checking on our monthly bills is something that many of us don’t do but is something that we all should do. If you have cable or satellite service in January, you would or will see an increase in your bill. Many services add little fees here and there, and that goes for insurance as well. Do you take the time to sit and review our bills and make calls? Yes, a simple phone call can lower your bills. We did it with our cable bill, and brought it down by $25! We take the time to look around and switch car insurance policies. Take the time to go and shop around for insurance, mobile services, even TV services. 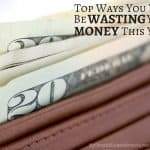 If you take the time to look at these tips and execute them, you will be able to save and stop wasting money. Always remember that you are in charge of your money, and taking the time to do these steps will help you save and keep your money in your pocket. Your turn: When it comes to things you are not doing that are costing you money what advice do you have? 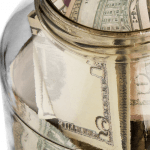 40 Ways to Save Money That Works! Thanks for the reminder! I agree, there are plenty of things we don’t do that cost us money. 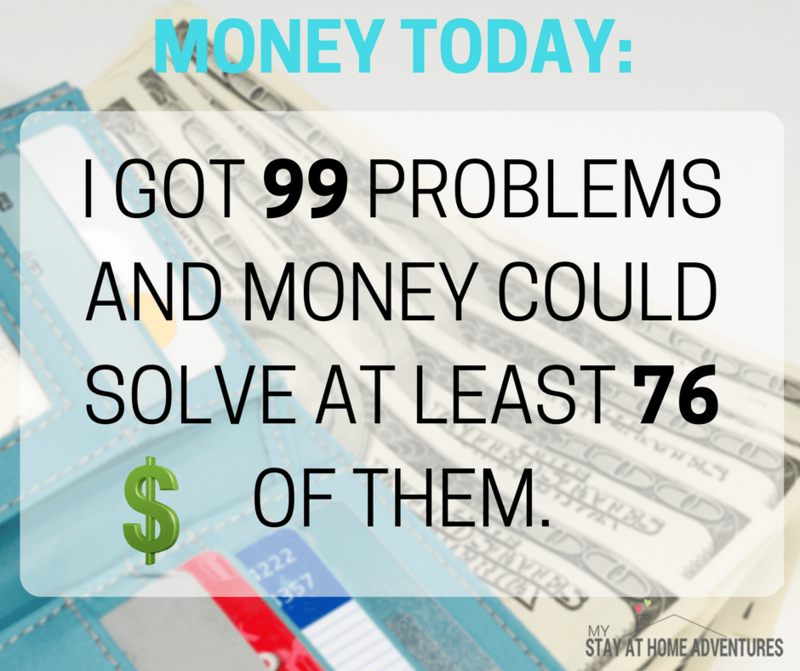 Right on point with not planning for expenses, big and small; and shopping without a list. In addition to taking the time to check up on monthly bills, we should also take the time to check up on our banking services. Banks can also add fees to accounts and services, as well as decrease the amount of interest you earn on savings accounts. With all the online banking available today, it’s quick and easy to check up on our own banks and shop for better and more competitive rates and services elsewhere.